What kind of person subscribes to one of those hoax UFO channels, anyway? Wonder no longer. 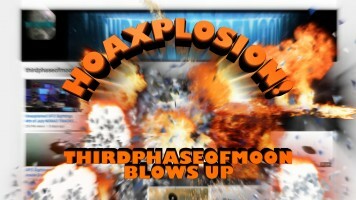 This comment from “SuperSurprise,” a Thirdphaseofmoon fan, recently appeared on the Hoaxplosion! YouTube page. Before you attempt to read, it may help to temporarily abandon everything you hold dear about spelling, punctuation, paragraphs, and reason. Don’t say I didn’t warn you. See, folks? UFOlogy has nothing to do with UFOs. It’s “entertianment”!